On booking all our walkers are given a leaflet listing essential things to bring with them on holiday but it can be a daunting experience sitting in front of your dusted off suitcases thinking what to pack for your walking holiday. The main point to remember is to bring what you really need not what you think you want. It is far too easy to panic pack throwing everything in just in case you need it only to find half the items never come out of the bag. On your walking days you will need a light weight ruck sack that is the correct size for you we recommend you try a few on and ask a specialist retailer for his recommendations . It is worth spending a decent amount of money on this as if it is right it will last many years and accompany you on many adventures. It needs to be waterproof ideally with a waterproof cover and big enough to carry all your water, lunch, snacks, spare socks, waterproofs etc. Personally I prefer them to fasten in the front to stop the straps falling down all the time. 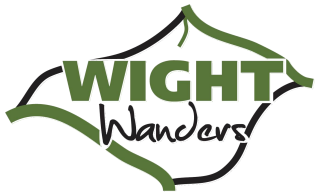 Your luggage will be moved from place to place by our Wight walks team and we ask that no bags exceed 15K if necessary we would prefer you to bring two smaller bags than one large bag that is difficult to transport and get up staircases. We do not recommend you bring lap tops with you as they are easily broken if you need to we ask that they are packed separately so we can transport them with extra care on the passenger seat. We are frequently asked what sort of boots to buy or bring the main thing to ensure is you get them well walked in before you arrive and you find them comfortable. During the Spring and autumn we recommend waterproof walking boots but if it is likely to be drier under foot then walking trainers are good just ensure whatever you buy gives you good grip and ankle support. Even on the hottest days we never recommend wearing walking sandals. They may look comfortable but on two occasions they have resulted in customers having such bad blisters they had to abandon their walk. One of the guests resulted on a trip to A and E to have his blisters dressed as he managed to take off all the skin on his heel! We suggest you bring another pair of shoes or trainers to wear when you walk to the pub in the evening it also allows maximum time for your walking boots to get a good airing. The correct socks are just as important as the correct boots and all walkers have their own preference. What I do suggest is to try a few different sorts when you find a brand that you get on with buy a quantity of them. During the summer months I prefer ankle walking socks that are thin cotton and breathable preferably with a thin anti rub double lining they are not expensive and last ages. My Pop always got me to take a pair of spare socks when we were walking all day if you swap socks when you get wet feet or feel a blister is threatening it often helps. He said it helped to prevent trench foot but I have never known what this was. A good tip to prevent blisters put some talc in your socks before you set off. Some people swear on rubbing in Witch hazel but I have never tried it.
? Base layer close fitting that wicks quickly is ideal. Jeans are great to wear in the evening but not ideal for walking as once wet they take ages to dry. Hats warm for Spring and Autumn and a sun hat for the Summer. Casual clothes for the evening and at least one smarter outfit in case you wish to eat in a restaurant. Poles are a good idea as they save your knees. Wight Wanders walking notes and maps. Couple of bin liners to sit on or keep things dry in a downpour. Snacks dried fruits nuts energy bars etc. Ready made first aid kit and add some extra plasters, compede, and some pain killers for aches and pains and headaches, tissues and tampons as necessary. Bring all the medication you need as you don?t want to waste any of your precious holiday time waiting to see a doctor for an emergency prescription.